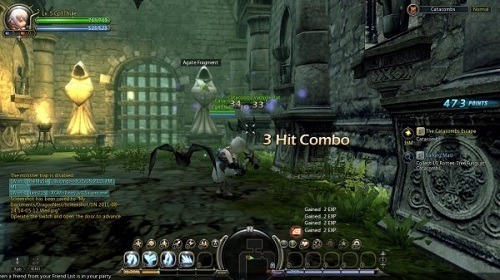 Dragon Nest is a free to play game from Nexon that uses a non-targeting system for combat. This encourages fast and skilful based play by giving greater control to your character and their movements. It’s truly a game where a more skilful lower levelled player can take out a high level low skilled one. 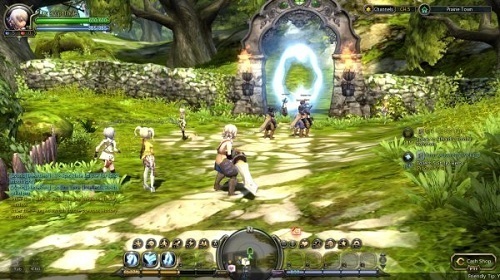 Dragon Nest uses a fantasy setting for the game and has players taking on the role of saviour as they fight endless evils in search of a poison used on a goddess. By finding this poison they will be able to synthesise a cure and revive the sleeping goddess. While it is a simple story it adds much needed background to your PvE engagements and helps give the world its own unique character. The game is focused around instanced dungeons and encourages players to team up with friends or other players to tackle some of the tougher dungeon environments. While this is main method of increasing your power, unlocking skills and gaining new equipment there is also a strong PvP scene for players to test their skills against other. In terms of classes Dragon Nest has a good selection with 7 different starting classes that cover all the necessary archetypes. You’ve got warriors, archers, assassins, clerics, sorceress and more to choose at the start of your adventure. At certain points in your progress players will have the option to specialise further with a job advancement which makes the total number of end game classes closer to 30 so there is plenty of variety to enjoy. For players that are tired of the usual slow combat of other MMOs Dragon Nest has obvious appeal with its action orientated combat. It’s also a great option for people that would rather rely on their own skill as opposed to equipment, levels or purchased items. Hands on combat system that is faster paced. Plenty of PvE and PvP gameplay available. A great game setting and story brings the adventure to life. Skill based emphasis lets skilful players shine.